The new AroMed 4.0 vaporizer from Green Gold. Its pure, gentle, yet extremely effective method increases well-being and contributes to your health. … pure, gentle, active ingredient-rich steam for your healthy well-being. … pure nature, powerful effect. … of the AroMed at a glance. … fast, easy to use. … from increased well-being to therapy. 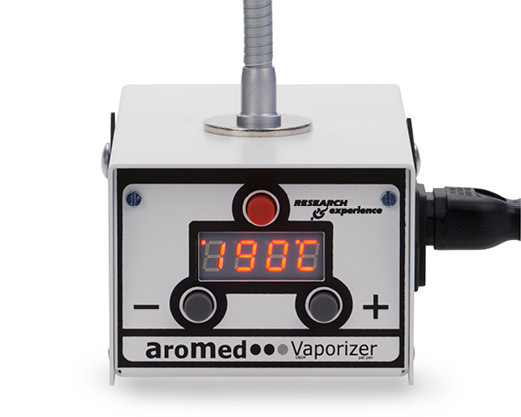 The AroMed is a hot air evaporator that can be heated exactly. With him it is possible to inhale active ingredients from almost all medicinal plants. The active ingredient vapor is free of pollutants. This is ensured by a medical hot air source and an additional water filter. The hot air is energy-saving generated by a UV-free 12Volt halogen bulb and kept at a constant temperature with a microprocessor. Whether fresh or dried plants, tinctures or oils, in AroMed all phyto-pharmaceuticals are usable. The hot air source is placed above the materials to be extracted. Only during inhalation does hot air dissolve the active ingredients. The AroMed can therefore be filled and used at any interval without re-heating or filling. More than 90% of the active ingredients enter the lungs. The principle has proven itself for more than 8 years! 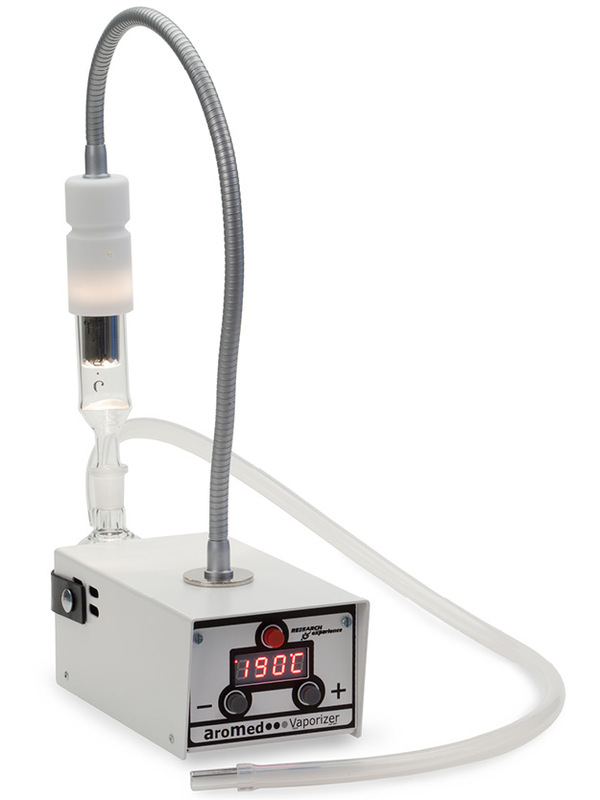 Phyto-Inhalation is the term coined by our scientific staff for vaporizing with the AroMed vaporizer. The book “Phyto-Inhalation” has been published by The Grüne Kraft Verlag. 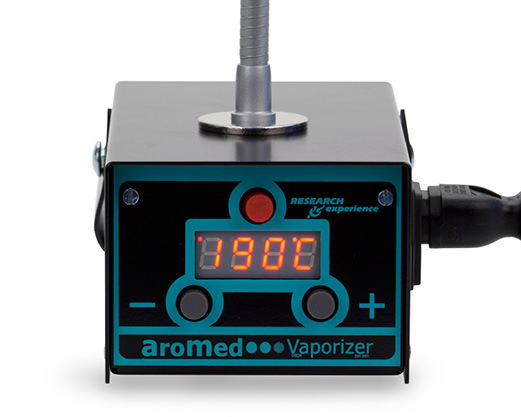 With the AroMed vaporizer, active ingredients can be inhaled directly from medicinal plants. As a result, they are absorbed much faster, more effectively, almost lossless and without chemical treatment. Also tinctures and oily plant extracts are easy to use with the SchaumPellet. Our doctors claim that delivering more active ingredients directly into the arterial bloodstream provides better dosing and control. Even injections into the venous bloodstream load internal organs more. Best effect without side effects! extremely effective: the hot air stream extracts more than 90% of the active ingredients from almost every medicinal plant. rapid effect: relief occurs after a few minutes. no pollutants: apart from the clinically pure healing source, a suspended matter filter is integrated. This excludes even the last dusts in the lungs. maximum temperature: up to 235 ° C, available in approx. 2 minutes. aromatherapeutic use of medicinal herbs, oils and tinctures. Achieve sleep-promoting, stimulating or mood-enhancing effects. improve the indoor climate with the AroMat. The AroMed vaporizer has been manufactured for seven years. The first models have been in daily use for eight years. By now, many have realized that using vaporizers is very good – and above all, healthy! – to enjoy cannabis products. This is not the primary goal of Green Gold, the manufacturer of AroMed. We produce a device for inhaling many different plant substances. The AroMed should not only contribute to well-being, but to relieve symptoms of illness. Of course, one should not forget that cannabis products in particular can be valuable for hundreds of thousands of people who receive little or no relief from traditional medicine. For these groups of patients, legalizing cannabinoids is (over) vital!